Home Loo's Hair and Body My Summer Goals! These goals stem from me not taking care of myself as much as I could be. I do tend to my hair and eat fairly well BUT I don't exercise or care for myself externally (beyond hygiene and looking presentable). Well, that's got to change! Goal #1. 14-15 inches of length; maintain healthy hair. Game plan: No changing my regimen. 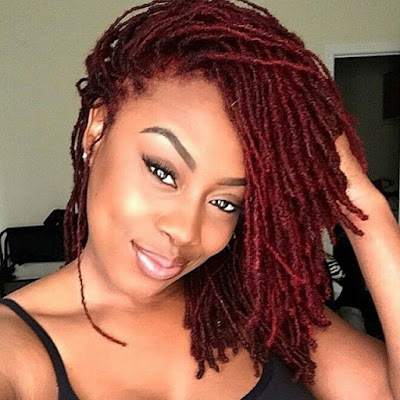 Continue with long-term protective styling (2-4 weeks at a time). Continue taking a daily multi-vitamin. Goal #2. Stronger knees; gain 5lbs of muscle. Game plan: Lower-body weight lifting 3x/week. More calcium and vitamin D. A former athlete that has let herself deflate beyond a reasonable point. Goal #3. Feel good on the outside, not just on the inside. Game plan: Start a nail polish collection and regular self manicures. Update the wardrobe. Have more fun with my hair after reaching the above length goal. And more. Do you have any summer goals for your hair, body, and soul? Good luck with your goals. I am trying to protective style my hair more. I haven't been consistent. I need to get a workout regimen I can stick to. I need to find a different form of exercise. I have been enjoying my almost daily swims but with the school holidays there are just far too many kids for my liking at the pool. I guess I really should just aim to go in for the 7am swim....eekk! Hair wise I am pretty happy! @JaysMom85: Thank you and you too! @nappyheadedblackgirl: Those are some great goals, and you're on top of it already! @Jc: Lol. This way I have no excuse. Whoa, 7am swim sounds intense but I know you can do it!